Let’s get even more baking and food prep out of the way today so that there is not so much to do on Thanksgiving morning! Today you can put together your mashed potato casserole or sweet potato casserole and then keep them in the fridge. Just take them out and bake them before serving. Make your stuffing with your dried out bread. If you are making Pumpkin or Pecan pies, you can make that filling today. Everything will need to be refrigerated. If you brine your Turkey, you can do that today too! Be sure to keep your turkey under 40 degrees. If you don’t brine your Turkey, you can just rub it with seasonings and let it sit uncovered in the fridge overnight. In a large bowl, mix the mashed sweet potatoes, salt, 1/4 cup butter, eggs, vanilla extract, cinnamon, sugar, and heavy cream. Transfer to the prepared baking dish. In a medium bowl, combine 1/4 cup butter, flour, brown sugar, and chopped pecans. Mix with a pastry blender or your fingers to the consistency of course meal. Sprinkle over the sweet potato mixture. You can also top with miniature marshmallows. 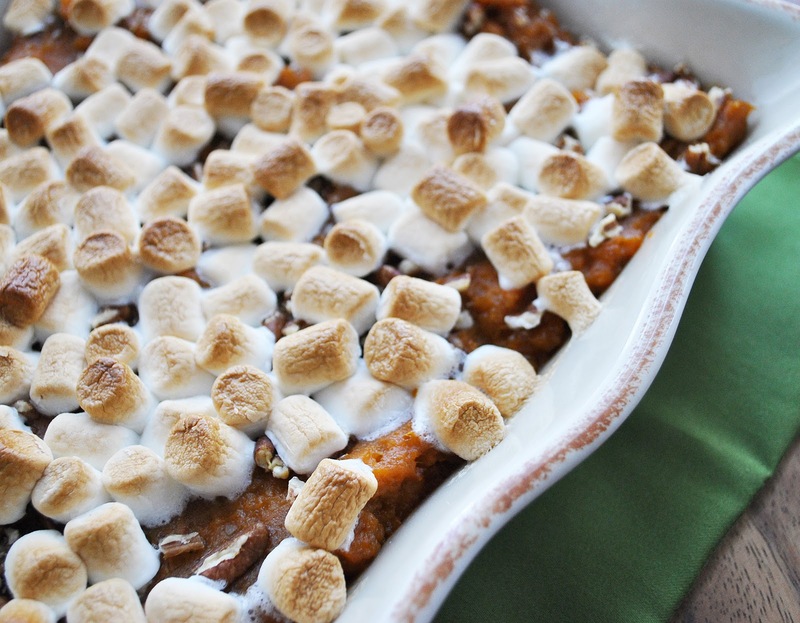 What is your favorite way to have Sweet Potatoes on Thanksgiving? Disney's Brave DVD only $9.95 and Blu-Ray only $16.95! Can you tell me how many this serves? I made this recipe last year but don’t remember if I doubled it or not. Thank you in advance! I think that depending on serving size it would feed about 9-16 people. However you divide up the 9×13 pan. Hope that helps.